The massive mountains and rushing rivers around Banff, Alberta, offer a mind-boggling array of ways to get active in the outdoors: skiing, snowshoeing, dogsledding, and ice walking in the winter; then hiking, biking, rafting, and horseback riding in the summer. My favorite way to soothe sore muscles after a day of activity in pristine wilderness? A stint in the spa with a steam and a soak and a full-body massage. 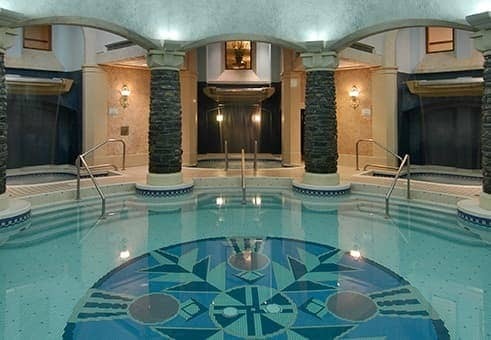 On my late-winter trip to Canada, I sampled not one, but two spas that offer sublime hot pools for soaking: the upscale Willow Stream Spa at the area’s most luxurious hotel, The Fairmont Banff Springs; and budget-friendly Pleiades Massage and Spa, in the bathhouse at the historic Banff Upper Hot Springs. Setting up these two spas for a side-by-side comparison really isn’t fair: Willow Stream Spa is one of the nicest hotel spas I ever have visited–and I’ve visited a lot of them on my travels over the years. Pleiades is a much smaller facility, offering more rustic amenities and a more limited spa menu. Still, both have unique qualities, and I’d recommend each of them depending on your tastes and, more importantly, your pocketbook. Here’s the scoop. Even before you lay eyes on the entrance to Willow Stream Spa on the lobby level of the historic, castle-like Fairmont Banff Springs, you can smell it–whiffs of lavender, sage, and other yummy scents waft down the hallway as you walk toward the elegant, 38,000-square-foot facility. This is one hotel spa where you want to ensure at least an hour before your scheduled treatment. In this extra time, be sure to make a circuit among the three waterfall pools with temperatures that vary from 76 to 104 degrees Fahrenheit (the coldest one was a bit too chilly for me to even sit in). These small pools ring a huge, mosaic-tiled therapeutic mineral pool located directly under a massive glass rotunda, where I enjoyed lingering in the natural sunlight. This pool isn’t fed by natural hot springs, but rather it’s infused with mineral salts–less “authentic” than natural hot springs, but still worthy of a soak. The mountain views from the large floor-to-ceiling windows are excellent, and if you want to get closer to nature, there’s a hot tub on the outdoor patio, too. Additional Willow Stream Spa amenities include a sauna with a eucalyptus inhalation chamber, a steam room, and a small Jacuzzi; these are each located in gender-specific locker rooms, so you can strip down to nothing here if you’d like, while a bathing suit is required for the co-ed rotunda pools. Access to all of these these amenities is complimentary with the purchase of a massage, body treatment, or facial. The service began with my settling into a warm table with a “water bed” liner, an insert that was squishy but comfortable. I had a full-body exfoliation with Turkish salts infused with eucalyptus and lavender, followed by a massage with lavender oil and a few hot stones. After that, my therapist, Paul, wrapped me up in blankets and gave me a scalp and head massage. 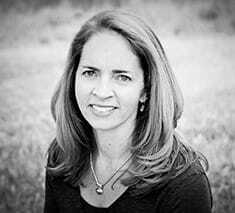 He was the ideal massage therapist–he focused on the areas of my body that I asked him to work, and he applied a perfect pressure throughout the treatment. I’d put Paul among the top five therapists who ever have given me a rubdown. Before I checked out, I acknowledged him as an exemplary employee on a guest comment card–I rarely take the time to do that! Pleiades Massage and Spa is named after the Seven Sisters star cluster because the grouping is known for its “hot blue” stars and the adjacent Banff Upper Hot Springs pool is both bright blue and quite hot. Here, the spa facility and the outdoor soaking area are totally separate. Just because you purchase a massage at Pleiades, you don’t not gain entry to the hot springs; they are two different business entities. The narrow entrance to Pleiades is just off the main entrance to the bathhouse. Immediately I was struck by how cramped the area felt, but also by how friendly the front-desk receptionist was. She ushered me into a co-ed locker room, where I changed behind a thin curtain into a thin robe. I did arrive early, so I had time to sit in a co-ed steam room, which was delightfully hot–just to my liking–and soak in a small square co-ed hot tub, which is not fed by the natural hot springs found deep in Sulphur Mountain. I learned that only Parks Canada can funnel the natural mineral water into a soaking pool for visitors. Still, the “non-mineral” hot pool felt good (really, it’s hard for me to meet a hot tub I don’t ‘t like, unless it’s too cold or ridiculously hot). My hour-long therapeutic massage was good; my therapist applied just the right pressure to muscles that were a bit sore after a couple days of skiing, snowshoeing, and ice walking. Also I appreciated that treatments here use handmade and locally made products with 100 percent natural ingredients. After my massage my therapist handed me a small glass of water in a DIxie Cup–I definitely wasn’t at the Willow Stream Spa anymore! Viewfinder Tip: If you forgot to pack your bathing suit for a stint in the Banff Upper Hot Springs, you can rent a replica from the 1920s. What a fun vacation photo opp! I highly recommend a spell in the Banff Upper Hot Springs pool in conjunction with a massage at Pleiades. After all, these historic hot springs–“discovered” in 1884, but used by First Nations peoples for centuries before that–contain minerals, such as sulfate, calcium, bicarbonate, magnesium that are reported to relieve the body’s aches and pains and promote full-body health. Adult admission to the hot springs pool is reasonably priced, and for that reason alone, I was surprised the large communal pool wasn’t more crowded. I heard several different languages while lounging in the steamy water and watching the moon shine bright over jagged snow-capped mountains. I’m guessing visitors from around the world flock to the historic springs–perhaps just not a bunch at 8 p.m. on a Monday night. Two spas, two different experiences that are appropriate for varying budgets. A relaxation massage at Pleiades costs half as much as the same service at Willow Stream, but facilities at the latter spot are much more luxurious. Both spas and their associated mineral pools helped me get to a place of total relaxation. And both are spas I’d recommend to anyone traveling through Banff on their next trip in Alberta. Where is your favorite place to spa?